President Donald Trump's legal team would advise that he refuse to submit to an interview with special counsel Robert Mueller unless the team can review classified information shared with select lawmakers about the origins of the FBI investigation into Russia's election meddling, Trump's personal lawyer said Sunday. Rudy Giuliani said that should Mueller's investigators seek a court order to compel the president to testify, Trump's lawyers would fight such a subpoena all the way to the U.S. Supreme Court, if necessary. "I think we win it," Giuliani said. Giuliani downplayed the chances that Trump would fire Mueller, a Republican who once was FBI director and has served under GOP presidents. Asked if Trump would dismiss anyone if the investigation kept going, Giuliani told "Fox News Sunday" that firings would play "into the hands of playing the victim, Watergate." President Trump may invoke his Fifth Amendment right against self incrimination in the Russia probe, according to his new lawyer, former New York City Mayor Rudy Giuliani. 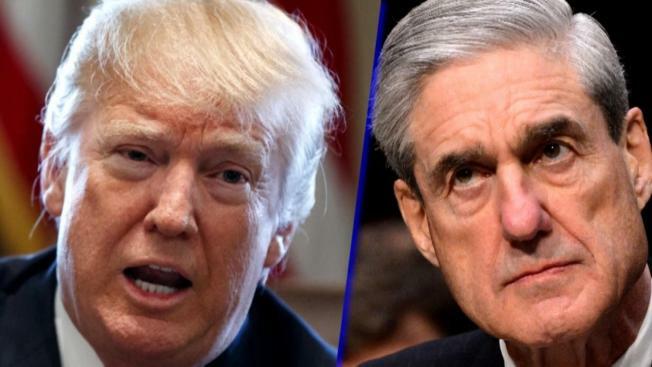 Calling special counsel Robert Mueller and his investigators "heavy handed", Giuliani told NBC's Peter Alexander the president will probably not agree to answer questions in the investigation. Giuliani's public negotiation over terms of an interview focuses on the use of a government informant who approached members of Trump's 2016 campaign in a possible bid to glean intelligence on Russian efforts to sway his race against Democrat Hillary Clinton. Trump has made unproven claims of FBI misconduct and political bias and has denounced the informant, without evidence, as "a spy." The two meetings with select lawmakers, held last Thursday, were requested by Trump's GOP allies in Congress and arranged by the White House. The president has tried to sow suspicions about the legitimacy of the FBI investigation, and he and his allies have focused on the use of the informant. After the meetings, which included Justice Department, FBI officials, congressional leaders from both parties and Democratic and Republican leaders of the intelligence committees, Democrats said they saw no evidence to support Republican allegations that the FBI acted inappropriately. "If they don't show us these documents, well, we are just going to have to say no," Giuliani said. It's unclear, however, if Trump would heed his lawyers' advice. Justice Department officials didn't immediately return a message seeking comment on whether the president had requested a briefing similar to what was provided to members of Congress last week. 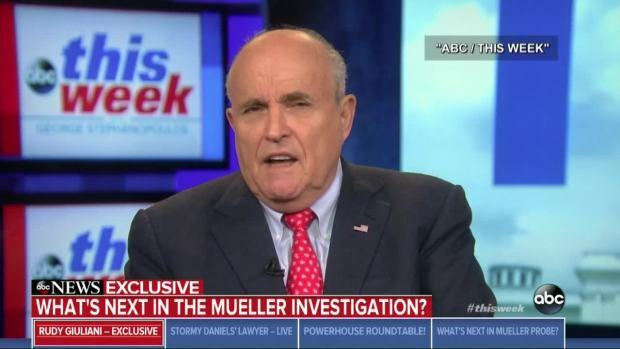 In a separate television appearance, Giuliani said Trump was "adamant" about wanting to agree to an interview, saying, "If he wasn't thinking about it and it wasn't an active possibility, we would be finished with that by now and we would have moved on to getting the investigation over with another way." "We are more convinced, as we see it, that this is a rigged investigation. Now we have this whole new 'Spygate' thing thrown on top of it, on top of already very legitimate questions," he told CNN's "State of the Union." "What we have to do is go to court and seek protection from the court, if we have to do that. Our first thing is we sure as heck are not going to testify unless it's all straightened out, unless we learned the basis of that Russian investigation," Giuliani told Fox.